Oak Brook dentist, Dr. Chris Metcalf and his wife, patient coordinator Melissa, wanted to help those in the community, especially since February is the ADA’s National Children’s Dental Health Month. They learned about Bridge Communities through a friend who volunteers as a Bridge mentor and organizer for Sleep Out Saturday, and knew there could be a great match. 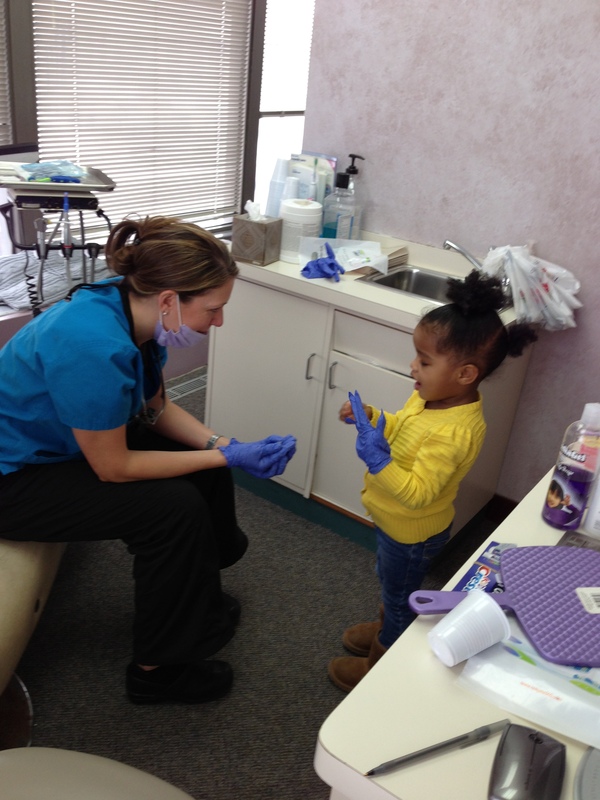 After coordinating with Bridge, the Metcalfs held “Give Kids A Smile Day” at their office on Saturday, February 8, providing free dental care to Bridge parents and children throughout the day. All in all, 13 individuals were seen and everyone received oral screenings, cleanings and oral hygiene instructions. Those in need of additional services received x-rays, restorations with fillings, fluoride treatments, and extractions as well. All children also left with a goody bag filled with a toothbrush, toothpaste and a book. Altogether, the Metcalf team donated more than $4,500 worth of dental services to Bridge families! A huge thank you goes out to the entire Metcalf team: Dr. Chris and Melissa; Bethany Micaletti and Cheryl Zara – Hygiene; Gitana Sapokas – Assistant; Vedrana Savic – Sterilization; and Christopher, Jack and Chase Metcalf – Child Supervision.